We offer from Jamnagar India various types of Brass Turned Parts Brass precision Turned Parts Brass Screw Machine parts Pressed Parts With our knowledge and technology, we feel pleased to mention that we have state of the art manufacturing facility for Brass turned parts and we produce very large range of high precision Brass Turned Parts and turned components. With our knowledge and technology, we feel pleased to mention that we have state of the art manufacturing facility where we produce very large range of high precision Brass Turned Parts and turned components. We are second to none as far as adherence and absorption of latest technology is concern. 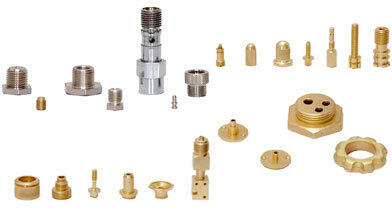 Precision Brass Turned parts Turned components are produced on lathes TRAUBS/AUTOMATS and further operations are carried out on special purpose milling, grinding machines. 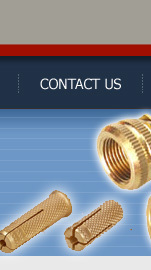 We are able and equipped to produce any Brass Turned Parts as per customer's imaginative or technical drawing. At present we cater to the needs in the fields of automobile industry, electrical, electronics, accessories to machines, medical equipment and instruments, marine engineering components and many other.  All the Brass Turned Parts are made with genuine solid brass rods. They are cut to length and grooved, threads, chopped as per the requirements of the object. They are precise in nature and strong in material which rarely may distinct due to factors beyond control. 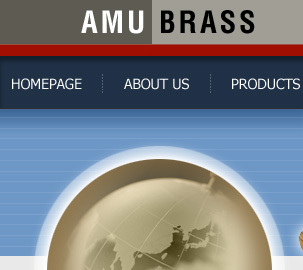  High quality genuine brass rods are used in manufacturing of precision parts. This superior quality material enhance the longivity of the component under various conditions.  The precision turned components are applicable with various gadgets of automobile industry, electrical and electronic equipments and also consumer home appliances too. Customer may also ask for a specific component which can be manufactured and delivered at the earliest.  The precision Brass turned Parts turned components are time tested for their repeated usage without any loss to the surface either by wear and tear or corrugation. They withstand range of temperatures under various conditions from 50° C to 120° C celsius. 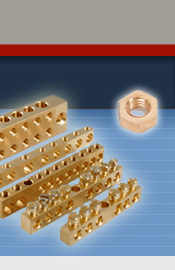  Our Precision Brass Turned parts and Turned components are finished in natural Brass. They are also Nickel plated, chromium plated and electro tin finished and SS plated on the requirement of the customer.